Beads. Free To Good Home. 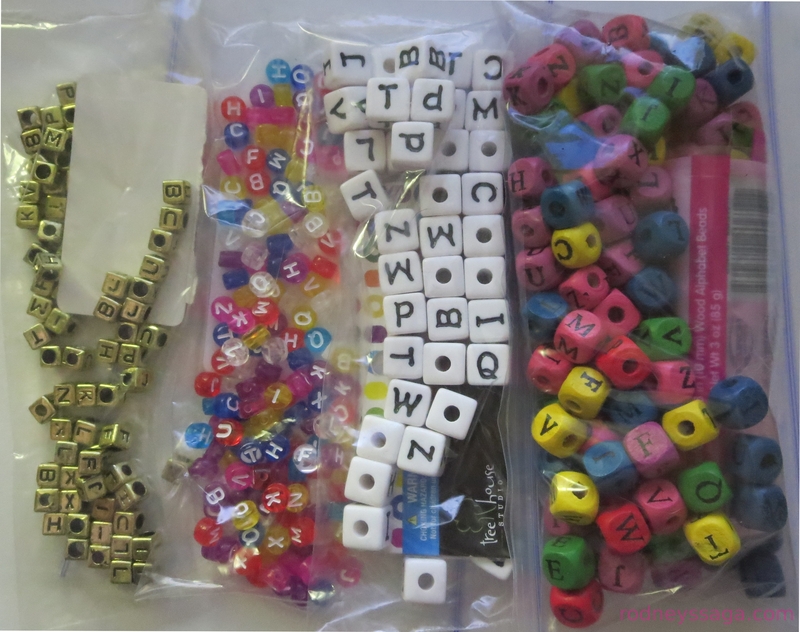 For a project later in the year, I am collecting inexpensive letter beads of A, D, E, G, N, O, R, S, Y. Unfortunately, beads come in units of alphabet. (Oddly, two sets lacked the letter E. Weird.) So, I have a pile of 17 letters for which I have no need. Want ’em? To repeat, the beads are of costume quality at best. Some are decidedly cheesy. One bag was $1 at Big Lots, a discount resale store. We’re not talking Murano glass here. If you are interested, please email me (Katherine) at rodneyssaga@gmail.com. Unless you have a work-around for the postage, offer limited to the US. If you wish to trade these beads for ones with required letters, or with horse themes, that would be lovely. The goofier the better. Project to be revealed Sunday, August 31, 2014. At least one person out there knows what’s up … (waves hi) … insert suspense music. Have some of the letters you need, will send as soon as i’m over this virus. Monday at the latest. Actually got them out in today’s mail. Hope they help! So mysterious! I hope you find a good home for your unwanted beads.